A tribute art memorial entitled “Out of the Blue,” honoring 30 recent victims of fatal dog attacks, was unveiled on September 24, 2014 in Grand Rapids, Michigan by Wyoming, Michigan resident Joan Kowal as an entry in ArtPrize, an annual outdoor art contest attracting upward of 1,500 entrants and more than 400,000 votes from viewers who select the award-winning entries. Displaying thoughtless solidarity, poor social judgment, and some of the cruelest behavior by fellow humans I have seen short of actual physical violence, pit bull advocates flocked to this sacred memorial, bringing their dogs, to protest that the pit bulls were identified as pit bulls. Many of the victims were killed by pit bulls from their own households. The information about those pit bulls, including photos of some of them, came from the victims’ grieving families. The pit bull advocates’ protest was simultaneously an exercise in trying to suppress the truth and in disrespecting and bullying the families of the dog attack victims for having shared their painful stories. The phalanx of demonstrators and pit bulls barely controlled on chains blocked vistors’ view of the information on the crosses for hours. Apart from the sheer nastiness of the demonstrators, their actions illustrate why pit bulls are the dogs most often abused, neglected, and otherwise exploited, to fight and intimidate. This was an act of provocation comparable in rudeness to the Ku Klux Klan repeatedly rallying in the largely Jewish city of Skokie, Illinois, with the difference that Ku Klux Klan members are not notoriously inclined to attack each other and fight to the death without offering even a warning gesture first. These pit bull advocates put their own dogs at risk by bringing them into lunging distance of each other, as well as putting themselves and the public at risk, to try to score propaganda points at a memorial for the recent dead. This is who is supposedly defending and protecting pit bulls. So long as this sort of behavior characterizes pit bull keepers, pit bulls will continue to be overbred, continue to suffer at the hands of people who claim to love them, and continue to die prematurely after failing repeatedly in homes––and humans, pets, livestock, and wildlife will continue to be victimized by dogs bred for no purpose other than to kill. As a close friend to many survivors of pit bull attacks and surviving family members of some of the dead whom Joan Kowal memorialized, I have witnessed endless egregious acts of cruelty thrown at them by pit bull owners and advocates. As if it were not horrible enough to experience and deal with all that comes with these attacks, fatal and non-fatal, emotionally, financially, physically and spiritually, there are some very disturbed pit bull owners who have made an around-the-clock mission of maligning and hurting my friends who have lost children, husbands, wives, sisters, and brothers to pit bulls. Pit bull advocates even distribute false information about victims and survivors to their employers, seeking to get them fired from their jobs. I am not speaking of just a few pathological individuals, but of scores of sociopaths who claim to be defenders of the pit bull, who engage in systematic, organized cyber-stalking and telephone harassment. Many aggressively blame victims and survivors for attacks which typically came either from pit bulls who previously were trusted family members, or pit bulls who rushed out of open doors, leaped out of windows, or jumped fences to attack people who had no idea before that their assailants even existed. Each time the ‘pit bullies’ mystifyingly determine that it is not the dog’s fault that the dog tore off a limb, tongue, or ear of the victim, and allege against the weight of the evidence amassed from more than 5,000 fatal and disfiguring attacks that all dogs do this type of damage. As the list of pit bull attack victims grows exponentially, so does the support network. Survivors around the world are helped to channel their grief, frustration and anger in positive ways to strengthen public awareness. Meanwhile, as bullying by pit bull advocates escalates, few if any appear to be offering more than platitudes in response to the overbreeding, lack of owner accountability, and increasing frequency of pit bull maulings, which have increased tenfold since the Michael Vick dogfighting case in 2007, more than doubled in 2013 alone, and are close to setting a new record in 2014. Just a couple of years ago I too was deeply involved in pit bull rescue and advocacy, as described in “Why pit bulls will break your heart,” http://www.animals24-7.org/2014/09/10/why-pit-bulls-will-break-your-heart/. But even in my own fiercest days of pit bull advocacy, when I was transporting, fostering, and speaking on behalf of pit bulls, I would never have dreamed of hurting another human being to defend my dog or any other pit bull. I also campaigned under my own name. Daxton’s Friends founder Jeff Borchardt lost his 14-month-old son Daxton to a pit bull attack on March 6, 2013. Borchardt has subsequently received dozens of death threats for speaking out. The pit bull fanatics we are dealing with today often conduct their activities anonymously or under false names, like many of the dogfighters and nightriders who produced and perpetuated the breed for decades before most people knew that pit bulls existed. These people know that attaching their own names to the poison they spew would bring rejection from most of civilized society. That such individuals form a large part the crowd promoting, defending and protecting pit bulls explains in large part why so little is being accomplished to end the suffering of not only humans, pets, livestock and wildlife victimized by pit bulls, but also of pit bulls themselves. More surprising, though, than that hostile people who keep hostile dogs behave in a hostile manner is that these are the people with whom much of the humane community elects to make common cause. I couldn’t have said it better myself, no really. Excellent writing. Thanks. You nailed it, Beth! It’s an absolute disgrace the way victims are continually savaged in every way possible by these irresponsible lunatics. Kudos to you for speaking the truth! Thanks for this, Beth. We had a rescue young dog, a part pit bull that looked just like the black-eyed Spot from Our Gang comedies. He was great for about 18 months. He was my youngest daughter’s pet, and slept with her and ate in her room. Then he turned on her. I got between them and he bit into my hand. I grabbed his chain collar with the other hand and choked him till he was semi-conscious and let go. Then we took him back to the ASPCA. It’s difficult to justify the presence of an animal that you always have to worry about. It is really unfortunate that some people put their dangerous dogs ahead of the lives and well being of people. Hope the ASPCA didn’t just turn him out to another family, with no warning. They have a tendency to do this. Good for you for saving your daughter! Why the hell would you take the dog back so someone ELSE’S kid can get hurt instead of having it euthanized? Great article, Beth, and unfortunately sooooo true. Like you, I was also an unaware pit bull supporter for years before I buckled down and did my research. There’s no hope of swaying the pit nutters themselves, but we can hopefully reach the unwitting public over this. For instance, I will not support or volunteer for any rescue that adopts out pit bulls. Today, my sister showed me a dog she was admiring on a rescue site, and I explained that adopting from places that pimp out pits is probably a major factor in the increase in BREEDING pit bulls. They also try to lie about the breed. Today I saw one that said jack Russell and lab . WOW, you could do tell it had pit bull in it. That’s how people get hurt or killed. Terrible. Beautiful prose illustrating ugly truths Beth! It’s becoming clear to me that the union of you and Merritt is of benefit far beyond your immediate selves. I’m seeing so much powerful productivity here (for a fantastic cause–the TRUTH) it blows my mind. Suppose someone wished to memorialize the approximately 100 Americans who have been killed over the past decade by accidents associated with faulty automobile ignition switches. That person put up crosses bearing the name of each victim and the name of his/her car. Then suppose that owners of GM cars turned out to protest because 74 of the victims drove GM makes of car, and they felt that Chevy, Buick, Pontiac, Oldsmobile et al were being maligned. Would anyone imagine that these protesters were anything but shills for GM? Probably even GM would be embarrassed by their actions. In actuality, the families of those 74 victims sued GM, and protested to every government office and consumer protection agency with any jurisdiction in the matter, to oblige the recall of 29 million cars. A mere 3.5 million pit bulls in existence at any given time killed 217 Americans in the same time that GM’s faulty ignition switches allegedly killed 74, of whom GM acknowledges 13. The pit bull owners’ protest of Joan Kowal’s memorial to pit bull victims is nothing more or less than an attempt to suppress the truth as egregious as was the GM response to Ralph Nader’s expose of the Corvair, Unsafe At Any Speed — which did not save Corvair sales, made Nader a public hero for generations, and introduced the concept of auto maker responsibility for manufacturing defects. When there are car accidents they often report the type of car involved, too in news reports and the manufacturers don’t tell reporters to not report the truth of the type of brand. The amount of effort taken to promote censorship and denial of freedom of speech is scary. Something many people might not know is several large pieces of art that were slated to be displayed at the Vanderberg (Calder Plaza) venue space pulled out of the event for financial reasons at the last minute. This has left a huge amount of unused open space for peaceful protests adjacent to the Out of the Blue Memorial exhibit without necessitating the sitting and blocking the art piece. Art Prize, the city of Grand Rapids, and the venue has really tossed the rights of the artists, the viewers and the victims into the trash. The American Civil Liberties Union website says that protestors can protest but they cannot disrupt or block a display or exhibit. Great article Beth! I just encountered a pit bull activist, named Kimberly, taunting Jeff Borchardt. She was saying things such as “I’ve got a healthy kid. You got one?” It was really disturbing that a fellow parent would say such cruel things. There really is no limit to the lengths these activists will go to. Usually parents are empathetic to each other. As she is saying these things, the child of a pit bull rescuer had her arm torn off and is in critical condition. Victims and victim’s advocates rushed to send the child cards and show support to the family. Thanks for standing up for victims and showing compassion. It proves that animal lovers can love people too. Thank you. You have put into words what many people feel. The media seems to have no desire to cover this issue. An artist is not free to memorialize victims mauled to death by pit bulls without organized protest by thoughtless and abusive pit bull advocates, but pit bull advocates pay tribute to humanely euthanised pit bulls without interference. How odd.. . . This article is brilliant because at its core it speaks to nothing more complex than the simple truth. Imagine alcohol beverage drinkers protesting a memorial for those. killed by drunken drivers. The crazies are going to be crazy, but it baffles me to as why nearly all of the big humane groups feel they have to align themselves with them. I imagine folks at HSUS, ASPCA, Best Friends and so forth read this site–animal advocates listen to the big groups, why aren’t you distancing yourself from these humane movement-sabotaging loonies? Without the implicit support of the humane groups and shelters behind them, people who do this sort of thing will be seen as Westboro Baptist Church members protesting funerals–that is, extremely marginalized crazies who take joy in others’ suffering and are not supported by any sane individuals, nor by the Christian community as a whole. Many pit bull advocates see the HSUS and ASPCA as the enemy. I think there is a very specific pathology to some of the more zealous bully advocates. This is just as disrespectful and awful as what Westboro does; memorials are not the place to lodge protests in my opinion. It’s just extraordinarily awful for the families of those whose loved ones have died to have to deal with this type of “protest.” I agree, set up off to the side, set up something else to promote your cause, but let any tribute to the deceased be a mechanism for healing. That’s a very good point. I too have seen the irrational hatred of the animal welfare orgs by pit bull advocates; even as all the while these groups are repeating and amplifying the advocates’ favorite slogans and arguments! HSUS, ASPCA, et. al., if you are reading this, realize that these folks are never going to be your friends, no matter how much you pander to them, and with behavior like this, do you really want to call them part of the humane movement? So why the sea change? I believe the explanation is fairly simple. With pit bulls ever more overrepresented in the animal shelter population, and as a shelter’s “save rate” has come under increasing scrutiny, shelters and rescues are now under considerable pressure to “sell” pit bulls to the public. Shelters also depend on adoptions as a fundamental source of revenue, and since pit bulls make up anywhere between 25-70% of the inventory at most shelters…you do the math. That’s at the organizational level. At the individual level, you have to remember that people get into animal rescue not because they’re logical thinkers or care about public safety, but because they love animals and tend to be emotional thinkers. It’s hard for an animal lover to endure the burden of choosing euthanasia for any dog, especially when he’s “nice” most of the time. When you have a healthy, cute dog in front of you who “might” be safe if given just one more chance, it’s hard for many people to make that decision. It truly reminds me of how violence victims rationalize staying in an abusive relationship. Another problem: for the most part, people working in animal shelters have little or no formal education in canine behavior. They have internalized the message that canine aggression is always a human’s fault. They do not know that aggression has a genetic component. They do not realize the key difference between aggression meant to increase distance between the dog and the target (such as fear or territorial aggression), and the kind of feel-good, self-rewarding aggression involved in a predatory attack. A dog that crosses an enormous play yard to attack a target, or refuses to let go during an attack has not been “startled” or “provoked” but is in fact executing the grab bite and kill bite parts of the dog’s predatory fixed action pattern. Pit bulls are now so common in the shelter environment that the pit bull’s tendency toward unprovoked aggression, the need for break sticks, crate-and-rotate lifestyle, etc. have become “the new normal,” so to speak. Nevada has touched on something I find of great concern….the similarities between the message sent by advocates of aggressive dogs, and the messages internalized by victims of domestic violence. I have served on focus groups and attended lectures held by a local anti-violence group, and I am struck by the similarities between pit bull rescuers/supporters and the perpetrators of violence against women and children. We live with dogs as social partners, and as such we have the right and the obligation to live safely, and without fear of violence. Yet promoters of dangerous dogs tell dog owners that THEY are the ones responsible for their dogs violent temperament.. If only they were better owners, if only they hadn’t provoked the dog by not recognizing his discomfort, if only they had recognized the dog’s triggers….the attack or bite would not have happened. The dog just needs more love, more understanding, more training. Sound familiar? The dog is sometimes affectionate, just as the abusive husband or boyfriend is…He is “nice” much of the time. But don’t get him angry, don’t upset him, don’t let him get frustrated, or else you deserve what you get. This message is being sent to women by virtually every shelter that is adopting out bully breeds, by every reality show trainer who tells the owners of clearly dangerous dogs that everything will be fine if they would just change THEIR behavior. Women and children have been fighting this culture of violence for decades…the belief that violence within a relationship is somehow acceptable. And it’s not. It’s not acceptable for a husband to beat his wife, and it’s not acceptable for a dog to bite and inflict injury on it’s owner. Relationships with pet dogs should be held to the same standard as our relationships with each other…and violence should not be a part of it. Humane organizations have become advocates for violence, blaming victims of dog attacks, telling the public that they should accept dangerous aggression from their pet as part of “normal” dog behavior. Humane organizations prey on the mentally ill, emotionally unhealthy, and the intellectually weak by exploiting the publics natural love for animals through guilt and manipulation. The result is typified by the reality show trainer I watched on TV telling a sobbing, mentally ill young woman, who has crated a rescued pit bull in her bedroom because he has attacked her and her other dogs multiple times…..she displayed her arms covered in scars…..that she just needs to “try harder” with this dog. I lived with an American Staffordshire Terrier for 21 years. He was both my best friend – and the largest responsibility I had ever undertaken. 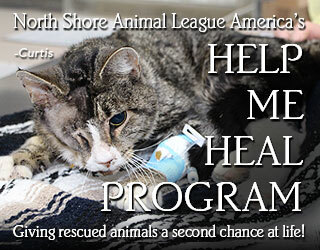 He was one, of many, reasons that I founded Alaska’s Extended Life Animal Sanctuary. I too lobbied for the “bully breeds” for many years. I was forced to stop advocating and supporting the bully breeds because of one simple reason: Out of 100 bully breeds we had placed in 5 years, all but 1 had attacked or killed another animal or injured a human. When I realized that no matter how “they are raised”, genetics wins every time – I was forced to ‘abandon’ the bully breeds. As an organization we are faced with the problem of bully breed mixes and proper temperament testing prior to making them available for adoption. I happen to be ‘blessed’ with 2 NACA certified ACOs. One is a certified animal behaviorist having studied under John Fisher. It is still a heart wrenching decision for every animal we handle. 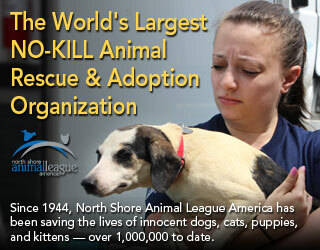 Operating a ‘no-kill for adoptable animals’ organization places us at a higher standard in many people’s eyes. Having to explain why we euthanize pits BEFORE they hurt someone or something is one of the hardest things I have ever had to learn to do! Thank you for your site as well as all your work! Thanking you again for your honest and insightful reporting on this hot-button issue. Sharing to social media with special message especially to pitbull advocates and BSL fighters, as they are the ones who need to read this. If the nutters and their barely controlled maulers weren’t so threatening, this would be pitiful and comical, but their presence ruined the display for others. When victims families and survivors can’t go pay homage, because inconsiderate lowlifes brought a pack of maulers, there is a big problem. I was downtown when these “maulers” were there. I could see how you could mistake all the tongues hanging out and tails wagging as threatening behavior….oh wait, I cant. Watched this display for maybe 20min. I don’t think a single dog ever growled, or snapped, or attacked anyone. So how can you call them all maulers and lowlifes? I saw responsible dog owners trying to get through your thick skulls the fact that not all pits are mean. Maybe you have tried touching one, would have seen they wont kill you. We have here at ANIMALS 24-7 a considerable collection of video, primarily from security, police, and news cameras, showing pit bulls vigorously wagging their tails from side to side while dismembering and killing both human and animal victims. Perhaps the most common statement by pit bull owners after fatal and disfiguring attacks is that their dogs never growled, snapped, or attacked anyone before abruptly killing or maiming someone. 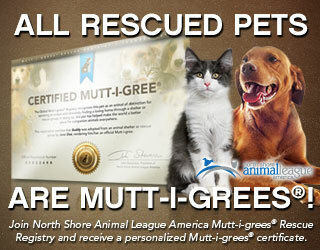 Responsible dog owners don’t keep, breed, or acquire breeds with those characteristic behaviors. And pit bull attack victims, along with their bereaved families, have typically already had quite enough physical contact with pit bulls to dissuade them from ever wanting to be dangerously close to any more pit bulls. In fact, pit bulls are selectively bred to not show typical intent behavior such as growling, raised hackles, curled lips, stiff extended tail, etc. Such displays in dog behavior indicate what the dog is going to do so other dogs and humans can act to diffuse the impending attack. In a staged fight situation, indication of intent is a disadvantage. You are talking here about dogs bred for many, many generations to give no indication of attack. A growling pit bull was disqualified from a fight in the old days of pit fighting. A pit bull has an on switch that once flipped can only be stopped by termination. The dogs were bred for and prized for “gameness”. If you understand the concept, it will go a long way to understanding the breed. I wonder if all the bully supporters know that in pit fighting the winner was the dog that would not stop? A dead dog could win a fight if the live opponent, when pulled back to its corner and then released, did not continue the attack when the dog was dead. A pit rescue recently adopted out a dog to a woman I know with a child. I was concerned, but they said the dog was wonderful. After about two weeks the woman’s brother came to the house and the dog attacked him. They returned the dog and found out that he had been placed out and returned multiple times. They were never informed of this. He is back on the website looking for his “forever home”. I have a large working breed. Initially, I was anti BSL because I thought of the slippery slope and how it could affect me. In fact, anti-BSL, which largely is designed to protect the bully breed has led to across the board restrictions on breeding and dog ownership. Clearly a backfire in terms of outcome. Why would an informed person want to? True, pits are liars. If you have visited a fighting camp, you see dogs happy to see you, acting just like your dog does when you come home. This is deceiving. This is why when HSUS goes in on a raid, their rescuers see these ‘friendly’ pits and the myths begin. Pits aren’t acting vicious 24/7. The body language of a pit going ‘pit’ is different from another breed going off. I feel if people could witness this, it would go a long way to make them realize the potential of the pit bull. I am wondering as to why everyone seems to be against Pit bulls as a breed. I can understand why if you have been the victim of a Dog attack, you will show a hatred toward that dog breed. But there are millions of Pit bulls in the U.S. and only a few hundred attacks. This statement exemplifies the same insensitivity toward pit bull attack victims as the demonstration in Grand Rapids itself. “Only a few hundred attacks” is casually dismissing an average of more than 30 human fatalities and 300 disfigurements per year over the past five years: people who have lost limbs, suffered multiple surgeries over many years to restore a semblance of normal appearance and bodily functions, and of course people who have died by live dismemberment. “Only a few hundred attacks” is also casually dismissing the suffering of the more than 43,000 other animals who were killed by pit bulls in 2013 alone. Reality is that about one pit bull in 100,000 will kill a person this year, compared to about one other dog in seven million; about one pit bull in 100 will kill another pet or domestic livestock, compared to about one other dog in 70,000. About one pit bull in three — and about one adult pit bull among every two — will flunk out of a home this year, primarily for demonstrating dangerous behavior. This occurrence to me crosses battle lines between pitbull advocates and detractors into a territory that is just beyond all comprehension. As a rescuer of chained dogs and the CEO of Dogs Deserve Better, I also run a web page for the child victim of chained dog attacks at http://www.parentsagainstdogchaining.org, because we know that chained dogs are 3x more likely to be aggressive, and all too often it’s the child who runs up to a chained dog who can be attacked and killed in an instant. What I see in the rescue community is blind devotion and an unwillingness to face the reality that dogs are not always fluffy bundles of joy but can often be the perpetrators of great harm to other animals or humans. When this is the case, we have a moral obligation to act in defense of whoever is being harmed or potentially being harmed. I was attacked in my kitchen by a dog I took off a chain. Not a pitbull, but a chow chow. It was the single most terrifying moment of my life, and I truly thought the dog was going to kill me. I was able to get pots out of my sink to defend myself, and I ended up going to the hospital in an ambulance. I suffered physical injuries and PTSD from the incident, even though I still work with chained dogs today. I have to introduce myself very slowly to new dogs, and I am very cautious about approaching a dog on a chain, because I now know first hand the kind of damage a dog is capable of doing to a human. I am grateful that this attack happened to me instead of one of my children or the DDB employees who worked out of my home. I am also grateful that it happened to me because now I know what it feels like to be a victim of a dog attack. I too was blamed by others when I euthanized the dog the next day. I was told that I did something wrong and it was my fault I was attacked, I was made to feel guilty for making the decision that I knew I had to make to protect others from the same harm that befell me. I can say from first hand experience that anyone who has suffered a dog attack will suffer PTSD, and even if they survive, they will be affected for their entire lives as a result, past any physical scars they will bear. I often think, what if I was a child and that happened to me? Would I have survived? How messed up would I have been physically and emotionally if I had survived? Even if you truly do have one of the nicest pit bulls in the world, it’s cruel and irresponsible to act like the victim of the attack is the one to blame. And it’s cruel to go protest where there is a memorial to victims of dog attacks. As a member of the rescue community who is still actively rescuing dogs—and yes we do some pits too—I have a responsibility and a moral obligation to stand on behalf of the victims of dog attacks. For I am one of them too. I just read this with my mouth open in disbelief that this happened. I am so sincerely sorry for all the innocent lives lost & that anyone could attend an event like this as an act of defiance is pure cruelty. I don’t know what else to say ——— .except I am so sorry. We have people on this planet who should not be allowed out in public. Remember back in the 70’s when they closed down the mental hospitals because they were terrible places, and they were? Well, now those same people who were released went out & procreated and here *we* are all dealing with generations of THEIR offspring! Kent County must immediately fire — not defend — the animal control officer who showed support for pro-pit bull demonstrators who protested an art exhibit that memorialized people killed by dogs. His or her actions showed bias against dog bite victims. The fact that the police did not arrest any of the demonstrators does not excuse the officer’s conduct. To promote confidence in law enforcement, officers must avoid even the appearance of impropriety whenever possible. As reported by Beth Clifton in her article entitled “Don’t Bully My Breed, But We Will Bully the Victims,” these demonstrators displayed “thoughtless solidarity, poor social judgment, and some of the cruelest behavior by fellow humans I have seen short of actual physical violence.” The animal control officer stood with them in this. That was just plain wrong, a monumental error in judgment, an insult to the community that the officer is sworn to protect. In law, there is a saying: “the appearance of justice is as important as justice itself.” (Offutt v. United States (1954) 348 U.S. 11, 14 (U.S. Supreme Court).) This officer has damaged the appearance of justice by showing his or her bias. The results will damage Kent County in the future: the officer’s word will not be trusted in court and other legal proceedings, and significant numbers of residents will feel less safe as long as he or she remains on the job. Kent County: fire this officer! Beth, I have the greatest admiration for you because even as a former pit bull supporter, you have the courage to speak the truth. If I could ask you or other people with a similar background a question, why do you think that pit bull rescue people have so little understanding of what is behind pit bull advocacy? The ones running the advocacy are dog fighters, pit bull breeders, and other breeders.. They use rescue and advocacy followers like slaves to help defend their financial interests. There’s a reason that there is more dog fighting and pit bull breeding than ever before. Pit bull advocacy has only made things worse for pit bulls and helped protect and screen the people who use these dogs as objects to make money with. I understand that some of the pit bull rescue people are actually connected to breeders and fighters and hide that, and that the breeders and fighters have used mentally disturbed people and used emotional ploys to trick people into helping them, but I can’t understand why so many who are intelligent people and who consider themselves advocates for dogs would let themselves be used by these people to hurt the dogs and make things worse? Carol Miller, your comments about Fulton County Georgia and their pit bull relationships reminded me of why that vigil- in actuality a dog fighting and pit bull breeding promotion event- you saw is going on. Fulton County has a high number of dog fighters. Andy Gelder, I don’t think you are a stupid man. I think you are an intelligent man, but I don’t begin to understand how you can’t comprehend that you have been tricked. May I assume that your political inclinations lean to the left? Please correct me if I am wrong. Do you understand that people affiliated with right wing breeder and animal use enterprises are behind a lot of pit bull advocacy? There are left wing people in pit bull advocacy who have their own agendas too and that is a different story, but it is amazing to me that so many people who think of themselves as progressive or liberal have been tricked into supporting a lot of dog fighters and breeders by industry people on the other side of the political spectrum. THANK YOU for your efforts; I have been menaced and harassed. Vicious dog tried to rip me open… Owner then chooses to deny, smear, lie and harass… Tries to silence me, tries to say I am lying and crazy, a small angry group harasses me still. It appears to be a common story. Narcissist sociopaths and their flying monkeys. One day I hope to see the pendulum swing back. I am reminded of: Mothers Against Drunk Driving and (Those of us who spoke out to fight) Tobacco Secondhand Smoke Both have achieved great results. I WON’T BACK DOWN. I have the ear of both City and County staff in San Diego. We have a very severe problem here! Keep up the good work! Thank you!